The YMCA Indian Guides were originally organized in 1926 by Harold Keltner, Executive Director of the St. Louis YMCA, as the result of the following remarks he had heard from his good friend, an Ojibway hunting and fishing guide, named Joe Friday. This was the genesis of the Y-Indian guides. After World War II, the baby boom and the rise of large families created a genuine need to incorporate daughters into the program and the Indian Princesses were born. While many things have changed in the intervening 80 plus years since Keltner’s idea began to take root, the need for a bond between Father and Child has not. Americans work harder than any nation in the world and the Fathers in the communities served by the Prairie Trail Federation are no different. Participation in the program affords us a chance to slow down and savor a little of that which we are missing: quality time spent with our children. 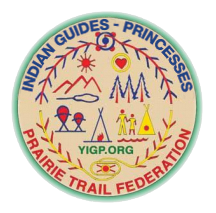 The Indian Guides and Indian Princesses Programs of the Prairie Trail Federation are about forging the ties between father and child. 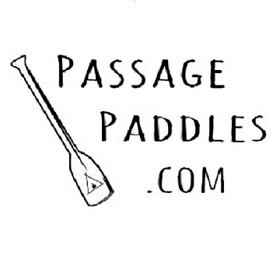 We are 3000 members and 92 tribes strong and growing. In the Campout Ceremonies, Father and Child are introduced to the ways of the Federation the main theme of the program: Father and Child Companionship. This is accomplished through the sacrifice of time and impatience. It is important that Father and Child work at companionship to bond together as family. It is through the sharing, participation and time spent together at campouts, tribal meeting, civic service projects and Federation events that the relationship between father and child is solidified. The basic unit within the Federation is the individual Tribe. Through that group of Dads and Kids flows the strength of the Prairie Trail Federation. Each Tribe is encouraged to hold monthly meetings where friendships are forged and strengthened. In addition, Federation events such as the Pinewood Derby, Fall Bike Hike, Ice Skating, Sleepovers at Chicago Museums and many other opportunities to come together as families and Federation members, strengthen the Father and Child relationship. Many tribes also take part in civic and charitable events that benefit the larger community. Some of these include the Secret Santa Program of the La Grange Community Nurse Association, and the Giving Tree where tribes work together and donate money to send the less fortunate to summer camp. Individual tribes participate in everything from working with the Chicago Food Depository to helping out their local Church. Longtime members of the Federation often recount the stories their child told after returning home, stories remembered long after the child moves from the program and on to college and beyond. They remember days of excitement, friendship, and the sheer joy of spending time with their Father. The Indian Guides and Princesses Programs provide fellowship between Dads, between kids, but most importantly between Father and Child. The joy and importance of time spent with our young children can be overlooked unless we slow down and seek them. This is easily achieved as a member of the Prairie Trail Federation. Click here to learn more about the Prairie Trail Federation logo.